This daunting intellectual, cognitive and emotional test is aggravated by the fact that Kyiv is currently fighting a war of survival with the main negative protagonist of its national memory – Moscow. More often than not over-ambitious, cynical and ruthless, the Kremlin’s foreign policies and related public discourse have recently again become driven by undisguised aggressive imperialism and a love-hate approach to Ukraine bordering on the psychopathological. This is further complicated by the fact that Ukraine has a sizeable Russian ethnic minority – approximately 17 per cent of its population, partly allegiant to Moscow rather than Kyiv. Purposeful manipulation with topics of national memory, recent history and interethnic relations, not least in Polish mass media and social networks, is part and parcel of Russia’s so-called hybrid war against Kyiv. The Kremlin’s attack on the Ukrainian nation is executed, with a multitude of military and non-military, hard- and soft-power instruments, on a daily basis. It actively exploits controversial historical issues, and aims to destroy the Ukrainian state from within rather than from outside. 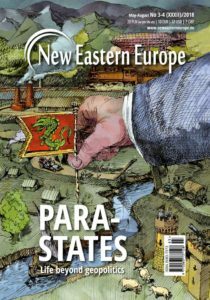 This already peculiar constellation is even more exceptional in view of Ukrainian memory policies’ far-reaching repercussions for its international relations. This concerns especially the interpretation, evaluation and memorialisation of the (in)famous Bandera faction of the Organisation of Ukrainian Nationalists (OUN-B) of the inter-war and the Second World War periods. Currently favoured by the ruling class and large parts of the intellectual elite of Ukraine, the officially affirmative classification of the OUN is deeply controversial among Ukraine’s Russophone citizens, foreign partners and pro-Western intelligentsia. The OUN was normatively (though not geographically) anti-Western and manifestly anti-Soviet, at the same time. The OUN is now seen by many Ukrainians as having been anti-totalitarian and liberationist. Yet, the ultra-nationalist, ethnically cleansed and monistic one-party state that the Bandera faction envisaged, at least until the early 1940s, would have itself amounted to an illiberal and totalitarian dictatorship. The leaders and ideologues of the OUN were ethnocentric and xenophobic. At the same time, many of them gave their and their families’ lives to Ukraine’s fight for independence. Some Ukrainian nationalists – including at least one brother of Stepan Bandera – were slain by the Nazis, but most perished while fighting Stalin’s regime. Both the OUN’s original founder and most cultic leader fell victim to spectacular assassinations by Soviet special agents, in the West: Yevhen Konovalets was killed by an NKVD agent in Rotterdam in 1938, and Stepan Bandera was murdered by a KGB agent in Munich in 1959. 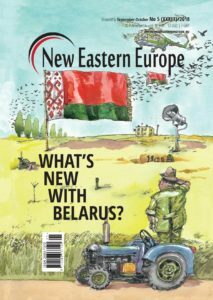 While issues of national memory can be thorny in other countries too, they have a domestic divisiveness and international explosiveness for the Ukrainian state that are – in this toxic combination – rare. It was therefore surprising that Kyiv’s post-Euromaidan leadership decided to hand over the government’s main official organ responsible for memory affairs to a group of relatively young activists with unknown scholarly credentials. The Ukrainian Institute for National Remembrance (UINP) attached to Ukraine’s Cabinet of Minister was, in 2014, put under the control of a circle of nationalistic publicists with little previous attachment to Ukrainian academic institutions and limited international exposure. The UINP’s current staff is closely linked to a marginal, yet industrious Galician NGO called Center for Research into the Liberation Movement (TsDVR). The main aim of the TsDVR’s significant book publishing and mass media activity is to further an apologetic public opinion of the OUN-B and hagiographic official discourse around its war-time leaders Stepan Bandera, Roman Shukhevych, Yaroslav Stetsko and others. The UINP has coupled its current decommunisation campaign with a comprehensive nationalisation and partial “Banderisation” drive in public remembrance and official discourse. It is actively supported by the TsDVR that presents the wartime Ukrainian ultra-nationalist movement as the pinnacle of Ukrainian patriotism and love of freedom. While the UINP directly influences Ukraine’s executive, the TsDVR exerts impact on Ukraine’s legislative process, as a member of the famous alliance of Ukraine’s civil society organisations’ “Reanimation Package of Reforms” devoted to drafting and pushing through reform laws in the Verkhovna Rada. An increasingly odd facet of the activities of the UINP and TsDVR in the area of Ukrainian publishing, journalism, education, lobbying, toponomy etc. 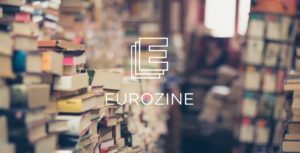 is that they happen against the background of an upsurge of critical research on the OUN-B in academic institutions in Ukraine, the EU and North America, during the last decade. For instance, Germany saw, during the last years, the appearance of, among other scholarly publications, three massive monographs, highlighting in detail specific aspects of the OUN-B’s history. Frank Golczewski, professor emeritus at the University of Hamburg, in 2010 published a 1000-page study of German-Ukrainian relations between 1914 and 1939, Deutsche und Ukrainer (Schoeningh Press), dealing with, among others, the foundation of the OUN and its interaction with the pre-war Third Reich. 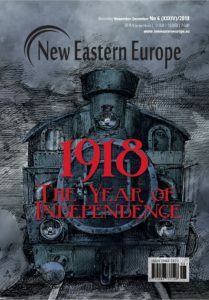 Grzegorz Rossoliński-Liebe, a research fellow at the Free University of Berlin, in 2014 published a 650-page biography of Stepan Bandera, The Life and Afterlife of a Ukrainian Nationalist (ibidem Press), outlining why Bandera’s movement should be seen as a Ukrainian permutation of East European fascism. Kai Struve, an associate professor at the University of Halle-Wittenberg, published in 2015 a 700-page monograph on the anti-Jewish pogroms in Western Ukraine in the summer of 1941, titled Deutsche Herrschaft, ukrainischer Nationalismus, antijüdische Gewalt (De Gruyter Oldenbourg), demonstrating the OUN-B’s deep involvement in antisemitic violence already during the first weeks of the Nazi-Soviet war. The contents and results of Ukraine’s apologetic and hagiographic memory policies by the governmental UINP and non-governmental TsDVR are primarily a problem in and of itself. They prevent Ukrainians from coming to terms with their recent past. Because of the deep resentment they encounter in russophone Ukraine, they hinder the development of a unified Ukrainian political nation. The UINP/TsDVR’s activities have been criticised from the perspectives of historical scholarship, interethnic relations, national remembrance, social cohesion, ethical standards, and moral responsibility. 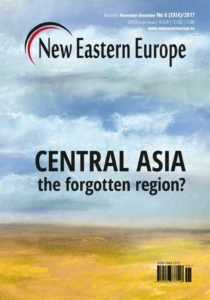 In addition to these perspectives, they can be also examined from the viewpoint of Kyiv’s foreign policy priorities, and especially against the background of Ukraine’s aspiration for deep European integration. 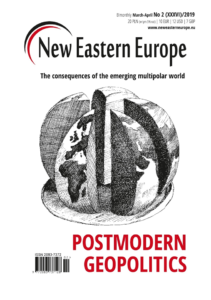 (4) the relevance of Poland to East European affairs and of Germany to European politics. First, the UINP’s and TsDVR campaign to put Bandera’s radically nationalist OUN at the centre of Ukraine’s national memory contradicts the original impetus of European integration. 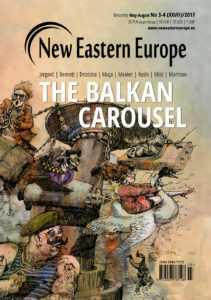 Whereas NATO’s creation was driven by anti-Soviet motifs, the European Communities and later the European Union have been anti-nationalist projects, as the frantic antipathy of Europe’s radical nationalists towards Brussels illustrates. The starting point of post-war European reconciliation and unification was France’s and Germany’s attempt to overcome their centuries-long confrontation. Europe’s integration began as a response to the escalation of increasingly radical nationalist sentiment in pre- as well as inter-war Europe and as a reaction to two world wars driven by radically ethno-centrist European movements, above all, by German fascism. Against this background, the increasing prominence of affirmative references to the OUN – as a form of inter-war and war-time ultra-nationalism – in post-Euromaidan Ukraine’s public life represents a mounting challenge to the EU’s core principles. No surprise that Brussels expressed its consternation in a February 2010 resolution in which the European Parliament “[d]eeply deplore[d] the decision by the outgoing President of Ukraine, Viktor Yushchenko, posthumously to award Stepan Bandera, a leader of the Organisation of Ukrainian Nationalists (OUN) which collaborated with Nazi Germany, the title of ‘National Hero of Ukraine’ [and] hope[d] … that the new Ukrainian leadership will reconsider such decisions and … maintain its commitment to European values.” Yet, as has recently become clear, this resolution had no effect on Ukraine’s political and intellectual elite. While the Russian aggression against Ukraine has let many EU representatives to become more cautious in its critique of Kyiv, the current grace period will sooner or later be over. Second, a particularly problematic aspect of the OUN’s history is its anti-Semitic prejudices and activities, as well as Ukrainians’ remembrance of these ideas and actions – or absence thereof. To be sure, Judeophobia was, unlike in German Nazism, not the primary aspect of the OUN’s xenophobia. Yet, Ukrainian Jews were regarded by many Ukrainian war-time ultra-nationalists as enemies of Ukraine – if of only secondary importance. The OUN’s anti-Semitism motivated at least some OUN members to participate in the Holocaust – either as German collaborators or as independent Jew-hunters in territories occupied by the Third Reich. 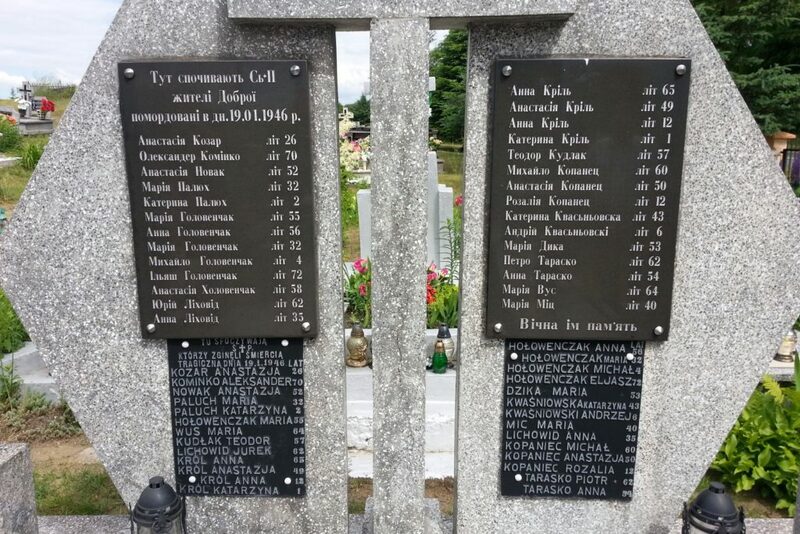 Several thousand Jews were killed by Ukrainians between 1941 and 1944 – many of them apparently by members of the OUN or by radicalised soldiers of its military wing, the Ukrainian Insurgence Army (UPA). In Ukraine, only few political and intellectual leaders seem to comprehend how important the memory of the Holocaust has become to the formation of post-war Western intellectual and political discourse. The failure of Ukrainian memory policies to address this issue adequately will have corrosive repercussions for Ukraine’s foreign relations. The more details of certain OUN members’ involvement in the Holocaust will become known to Western public – such as the crimes committed in the summer of 1941 – the more scandalous the Ukrainian state’s current glorification of the OUN and its leaders will become. So far, Western knowledge of the events is limited, as much of the debate is conducted in Ukrainian language that only a few Western observers speak. The public debate on the difficult issues is, moreover, frequently spoiled by the Kremlin media’s bombastic defamation campaigns and purposefully biased narratives of the OUN’s activities. 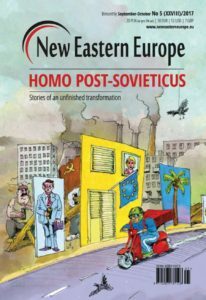 The international discussion also suffers from numerous Western dilettante commentaries that are, in turn, often based on Soviet secondary sources and/or post-Soviet Russian historical manipulations. The frequent factual imprecisions and indiscriminate historical accusations voiced by various ill-informed journalists and activists – especially towards Bandera who spent much of the Second World War under German arrest – play a subversive role within the Ukrainian public discourse of the events. The large amounts of erroneous assessments, sweeping generalisations and unproven allegations proposed by various non-specialist and/or politically engaged discussants, within and outside of Ukraine, are being, with great relish, picked up and scrupulously dissected by UINP and TsDVR representatives and other OUN apologists, at academic conferences, international debates and television talk-shows. They have created a widespread opinion among Ukraine’s intellectuals and politicians that the Western public is fundamentally ill-informed about recent Ukrainian history, if not thoroughly brain-washed by Soviet and post-Soviet Russian propaganda. 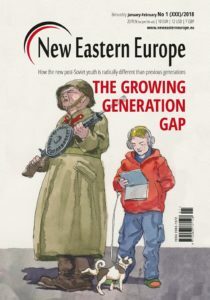 Yet, scholarly research conducted at reputed European and North American universities in the last decades has been describing in detail where OUN-related Ukrainians participated in the Holocaust – and where not. These peer-reviewed studies produced at some prime academic institutions of such countries as the United States, Canada, Germany, Poland or Sweden are unaffected by the Kremlin’s various influence campaigns. What is increasingly clear from these publications is that OUN’s anti-Semitic ideas and activities were not only a result of German inspiration, initiation and instigation. They were also driven by home-grown Ukrainian prejudices against Jews, in particular by the crypto-racist conspiracy theory of “Judeo-Bolshevism” – the obsession with the Jewish family background of some communist leaders. Some documents outlining the OUN’s plans for a cleansing of Ukraine from Jews, among other nationalities, were adopted in spring of 1941, before Germany’s attack on the Soviet Union. By the 1930s, the OUN’s xenophobia was informed by the anti-Jewish writings of Dmytro Dontsov – the intellectual founding father of modern Ukrainian ultra-nationalism and a Ukrainian translator of Benito Mussolini and Adolf Hitler. Although Dontsov never became an OUN member, his proto-fascist pamphlets were constitutive of the ideological formation of Ukrainian nationalism in the 1930s, and continue to influence parts of Ukraine’s intelligentsia today. In the coming years, the relatively recent research results published in English and German will spread among the larger epistemic communities of Western researchers of international fascism and genocides, in general, as well as of the Holocaust and the Second World War in particular. The new findings now being published in Western languages will gradually enter comparative nationalism studies, European history textbooks, university teaching syllabi, international Holocaust education, and mass media accounts. They are becoming a source of frequent embarrassments between apologetic Ukrainian intellectuals, on the one side, and Western experts on Ukraine, on the other. Sooner or later the wider Western public will become aware of the details of inter-war Ukrainian anti-Semitism, the OUN’s partial participation in the Holocaust, and Kyiv’s demonstratively apologetic and sometimes whitewashing memory policies concerning the OUN and its leaders. As a result, Ukraine’s image in the West will be lastingly damaged. As the 2010 European Parliament resolution indicated, it could put in question such crucial projects as Ukraine’s gradual integration into the EU and NATO. The third problematic aspect of the current Ukrainian memory policies is its non- or even anti-academic impetus. 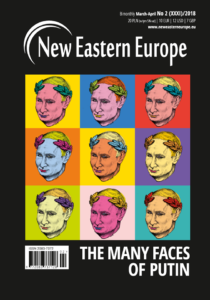 To be sure, Ukraine does have a number of internationally respected historians who have published critical accounts on the OUN in respected outlets, or have taught or presented on the OUN at highly ranked foreign universities and think-tanks. They include, among others, Yaroslav Hrytsak and Oleksandr Zaitsev from the Ukrainian Catholic University in Lviv, Andriy Portnov from the Humboldt University of Berlin, or Heorhiy Kasianov from the National Academy of Sciences of Ukraine in Kyiv, to name but a few. There are also some scholars belonging to the Ukrainian diaspora who have published highly critical research on the OUN and post-Soviet Ukraine’s memory policies, such as John-Paul Himka from the University of Alberta, Myroslav Shkandrij from the University of Manitoba, Marco Carynnyk from the University of Toronto, and Ivan Katchanovski from the University of Ottawa. Most importantly, there have appeared, during the last decade, more and more younger Ukrainian researchers who are presenting original critical research on the OUN and related themes in refereed high-impact publications, and are winning fellowships from prestigious Western research institutes. 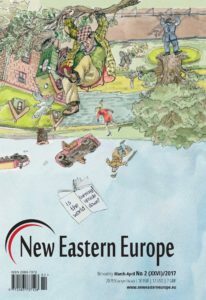 They include, among others, Olena Petrenko from the Ruhr University at Bochum, Yuri Radchenko from the Center for the Study of East European Inter-Ethnic Relations in Kharkiv, Yuliya Yurchuk from Södertörn University in Stockholm, Anton Shekhovtsov from the Institute for Human Sciences in Vienna, Olesya Khromeychuk from the University of East Anglia in Norwich, or Ivan Gomza from the famous Kyiv-Mohyla Academy. While none of these scholars are being repressed by Kyiv and can freely circulate their findings, these academics exert only limited influence on official governmental policies and are underrepresented in mass media reporting and intellectual debates on the OUN. Instead, the civil servants at the UINP, activists of the TsDVR as well as similarly inclined local incumbents dominate public historical discussions on the OUN in Ukraine. That is in spite of the fact that only few of them have properly academic credentials. Apparently, most of them have not had the chance or interest to publish in relevant scholarly journals, and to present research papers to expert audiences at international academic conferences. None of them seem to have any notable international academic achievements, or a record of sustained comparative cross-cultural research. As a result, they are largely unknown outside of Ukraine. The UINP’s and TsDVR’s director Volodymyr Viatrovych, to be sure, is a celebrity of sorts, as he himself has become the subject of investigations and debate on the pages or websites of, among other outlets, The Nation, Foreign Policy, and Foreign Affairs. In 2010-2011, Viatrovych won a visiting fellowship at the Harvard Ukrainian Research Institute. He was apparently invited on Harvard’s “celebrities track” rather than within a traditional scholarly funding scheme. Viatrovych did not have then and apparently still does not have any relevant peer-reviewed academic publications, i.e. texts accepted by refeered research journals or book series. Instead, in 2008-2010 Viatrovych was the Head of the Archive of the Ukrainian Security Service – a high position within Ukraine’s official cultural affairs that apparently qualified him for an invitation to Harvard. In 2011, he published an apologetic book on the massacre of Polish civilians by the OUN-UPA in Western Ukraine in 1943-1944, with the publishing division of the Kyiv-Mohyla Academy – a prestigious Ukrainian university. However, in that period Viatrovych was himself affiliated to this university, whose then-president and later Minister of Education Serhiy Kvit had earlier written a hagiography on the above-mentioned proto-fascist writer and OUN-inspirer Dontsov. Viatrovych’s book became the target of scathing critique and sarcastic ridicule by a number of academic experts who felt obliged to review his unremarkable manuscript that was written at Harvard University, printed by the Kyiv-Mohyla Academy, and has since become a thorn in Ukrainian- Polish relations. The spirit of rationalism, criticism, universalism, agnosticism and pluralism reigning in the universities of Europe, North America etc. makes them, perhaps, the most archetypical Western institutions. 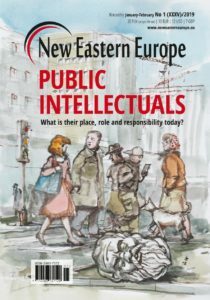 Unlike in post-Soviet societies, established academics at reputed universities and research institutes have thus a special status in Western societies. They – rather than influential clerics, pundits, state officials, journalists, military men, popular writers etc. – function often as inspirers of, and sometimes as arbiters in, public disputes. The extra-academic personnel, communication and publishing policy of the UINP is set to clash not only with the work of Ukrainian and non-Ukrainian academics, but also with the positions of official representatives of Western states. European and American politicians will not accept arguments, however well formulated, by publicists who may exhibit abundant patriotic feelings, but do not possess relevant academic credentials. The West will not take seriously discussants who cannot point to noted publications in well-known scholarly journals, well-received presentations at international academic conferences and resulting impact on the research disciplines as well as respect within the epistemic communities that this or that self-ascribed expert claims to represent. 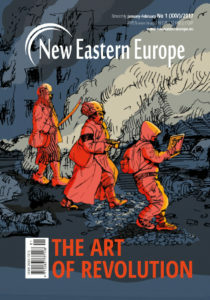 The fourth, most immediate and consequential political problem with Kyiv’s emerging official canon on the Second World War is, however, its fundamental unacceptability to such states as Poland, Germany or Israel, that is countries with especially high stakes in the interpretation of Europe’s history in 1939-1945. For Poland, the particular understanding of the OUN/UPA’s massacre of tens of thousands of Polish civilians in Western Ukraine in 1943-1944 is non-negotiable. For Germany, any suggestion that Nazi collaborators are to be seen as war heroes and that, for instance, OUN/UPA leader Roman Shukhevych – once an officer of the Wehrmacht and, later, the notorious Schutzmannschaften – may be honoured as a martyr is out of question. For Israel and international Jewish organisations, the idea that an as explicitly anti-Semitic organisation as the OUN, whose many members participated in the Holocaust, could provide guidance to the formation of the post-Soviet Ukrainian nation is an incomprehensible affront. While some Ukrainians may regard Israel’s opinion as inconsequential, the relevance of the positions that Poland and Germany take towards Ukraine is more obvious. 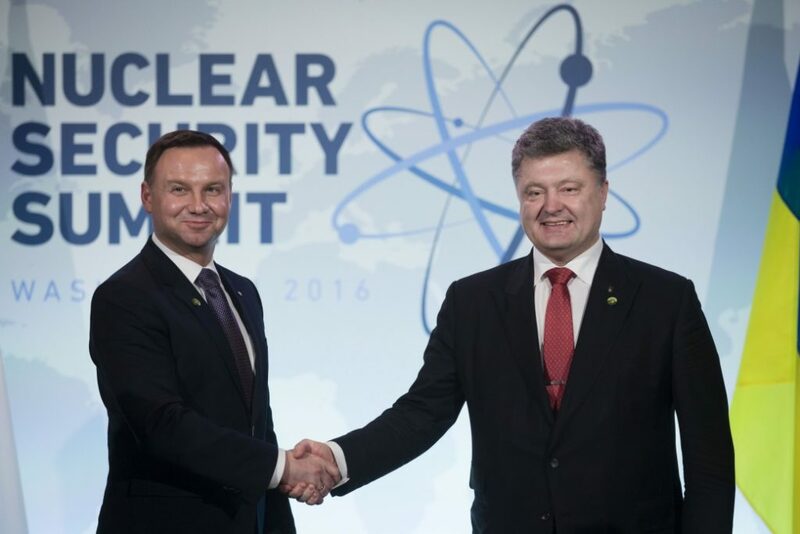 Poland has so far been Ukraine’s closest international partner, and prime advocate within the EU as well as NATO. Germany’s recent relatively pro-Ukrainian position within the EU has been crucial to the introduction and prolongation of sanctions linked to Russia’s covert intervention in the Donets Basin. Ukraine’s dubious memory policies are putting the pro-Ukrainian political and social forces in these and many other countries under increasing strain. 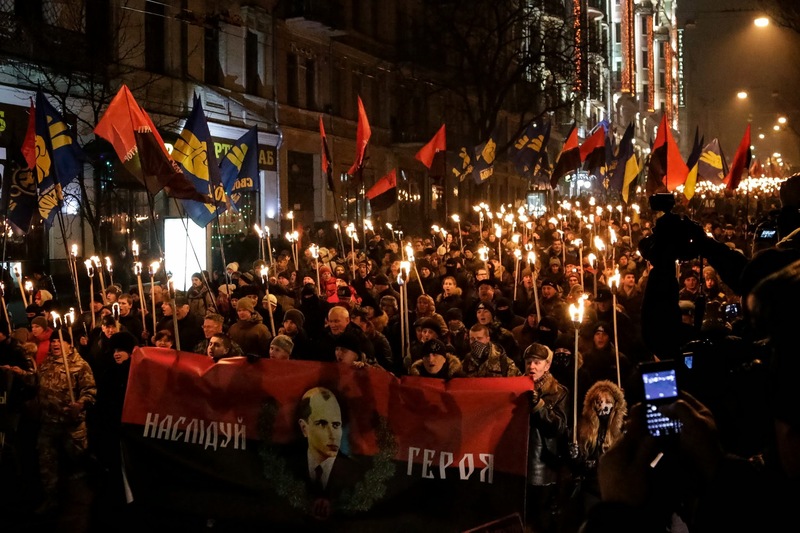 For instance, Germany has a variety of left- and right-wing pro-Russian political groups, as well as business-related circles that skilfully exploit Ukraine’s intensifying Bandera cult. They actively use partially correct factual material – along with falsified information – on the history of the OUN and its heroisation today to argue for an appeasement of the Kremlin’s desire for Western disengagement from, and Russian hegemony over, Ukraine. In Poland, the most Ukrainosceptic group consists of descendants of the war-time victims of Ukrainian ultra-nationalist violence and ethnic cleansing who exert influence on the Polish public as a whole. In July 2016, Ukraine’s misconceived post-Euromaidan policies had a concrete fall-out when the Polish parliament recognised the 1943-1944 UPA massacre of Poles in Volhynia and Galicia as genocide. It is true that recent Polish domestic developments too have contributed to the increasing tensions in Kyiv’s relations with Warsaw. Yet, the Ukrainian factor was a necessary additional condition for the deterioration of the Polish-Ukrainian relations in the way and with the speed they did in 2014-2017. Of course, the UINP and TsDVR are not the only Ukrainian institutions responsible for these and other worrisome memory policies. Yet, with their apologetic activism, they have significantly contributed to the deterioration of Ukraine’s foreign relations since 2014. The pronouncement of the director and other speakers for the UINP carry a special weight, as they are official representatives of a governmental institution. The UINP’s and TsDVR’s staff in particular, but also hundreds of other similarly oriented Ukrainian politicians, journalists, amateur historians and dilettante activists, have contributed to the current Polish-Ukrainian tensions by commission as much as by omission. For the last twenty-five years, in their search for role-models, Ukraine’s nation-builders have concentrated on the tragic and heroic aspects of Ukraine’s fate in the Second World War. They have been facing the problematic sides of their nation’s contemporary history with great reluctance. Many have not yet understood that some practical conclusions have to follow from their verbal acknowledgement of the existence of a “dark side” in Ukraine’s recent past. The participation of Ukrainian nationalists in the Holocaust or 1943-1944 massacre of Poles is rarely denied today. Yet, much of the Ukrainian public remembrance of the Second World War since 1991 has been conducted as if either these and other crimes by the OUN never happened, or as if they were unrelated to the OUN’s ideology, justified by the war context, or merely a result of German instigation (which they, of course, frequently were). Instead, apologetic Ukrainian polemists regularly react to criticism by domestic and foreign observers with, what was known during Soviet times, as “whataboutism”: What about Polish whitewashing of the past? What about Israel’s selective memory? What about crimes by other national liberation movements?… Even if often valid by themselves, such references are mere distractions from Ukrainian themes, and the increasingly salient foreign political problems, especially in Polish-Ukrainian relations, that Ukraine’s official memory policies create. Neither whataboutism, nor negationism, isolationism or escapism will help Ukrainians to alleviate the accumulating embarrassment that Kyiv’s glorification of war-time ultra-nationalists creates among its friends in the EU, North America and other world regions. The various lapses of Ukraine’s misconceived memory policies, especially during the last two-and-half years, are now hitting back, as they provide plenty of convenient manipulation material for the Kremlin’s propagandists, proxies and sympathisers. They undermine the trust of Ukraine’s major foreign partners in Kyiv’s project for a modern European Ukrainian state, at a time when Ukrainians need their help most. ACKNOWLEDGEMENTS: Per Anders Rudling, David Marples, Yulia Yurchuk, Marco Carynnyk, Andre Liebich, Anna-Veronika Wendland and Kai Struve are acknowledged for having kindly made helpful comments on an earlier draft of this text published in the Dutch language on the website “Raam op Rusland,” and followed by an English- and Ukrainian-language rebuttal by Mykola Riabchuk. None of them, however, can be held accountable for the errors the above text may still contain. Abridged English, Ukrainian, Polish and Russian versions of this text were earlier published by “Foreign Policy,” “Obozrevatel’,” “Ukrains’ka Pravda,” “Blogpublika.com,” “Novoe vremia,” and some other outlets.